Chloramine is being used more and more widely as an alternative disinfectant to chlorine. It actually consists of chlorine with ammonia added. There are a number of health risks associated with the byproducts of chloramines. One such concern is that chloramines can result in an increase of lead in drinking water. This risk is increased particularly in areas with older housing. It appears that chloramines can leach lead from solder, fixtures and pipes. Lead is a poison, and its ingestion can have serious health implications. This is why it is no longer used so frequently as it was in paints, gasoline and other consumer products. 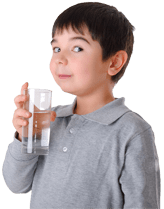 There has not been sufficient research to indicate that it is safe to use chloramines in our water supply. There are indicators that there are considerable health risks.